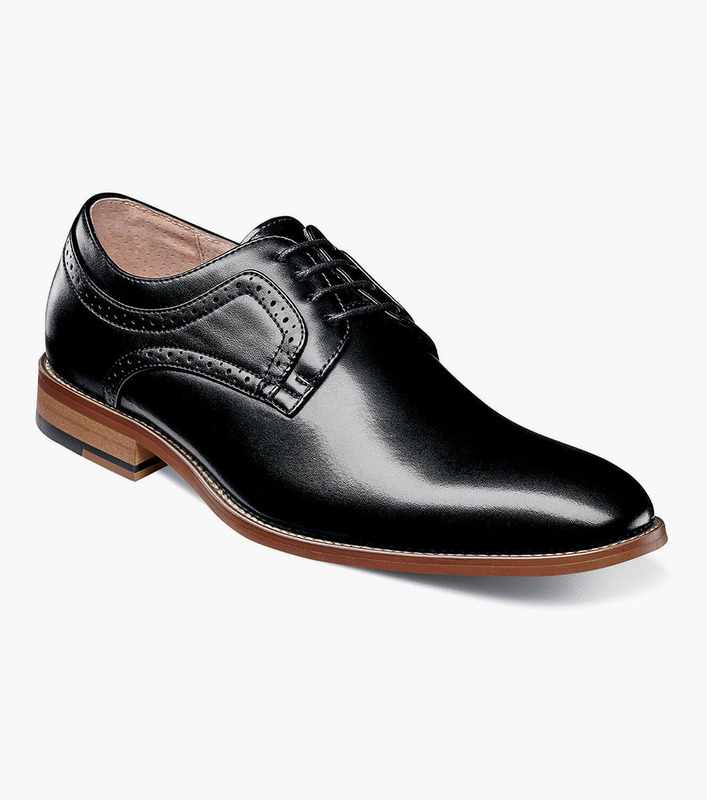 Few shoes are as sophisticated as a plain toe oxford. The clean line shows off the quality of the leather and the beautiful burnish on the toe. The Stacy Adams Dickens Plain Toe Oxford features a sleek profile with a single line of perfing and a stacked heel to enhance the simple, elegant style of this shoe.